Mumbai: University of Otago researchers are using bottlenose dolphin teeth to help them understand coastal contamination. Metal contaminants in marine environments are a particular health risk for humans and other animals as they get absorbed into teeth and bones. 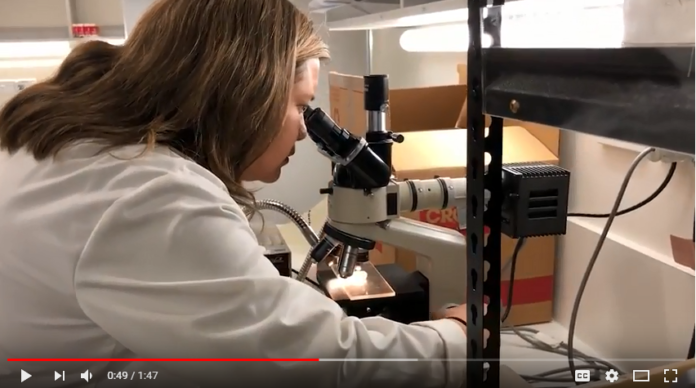 Dr Carolina Loch from the Faculty of Dentistry is the principal investigator in the pilot study designed to track metal exposure in marine species to help determine pollution in the ocean. Similar to humans, bottlenose dolphin teeth are made up of enamel and dentine which grows in layers like the rings in a tree. Each layer corresponds to one year of the life of the animal and using laser spectroscopy, Dr Loch hopes to be able to reveal the toxic metal bioaccumulation. Dolphin teeth reliably record contamination because toxic metals and trace elements from diet are incorporated into enamel and dentine throughout life. As dolphins feed from fish and other animals in the ocean they are potentially susceptible to metals like lead or mercury – just as humans are. Humans too eat some of the same seafood as dolphins. “One of the key issues is that the wastewater from mining and city pollution goes back into the marine environment and it comes back to us when we consume seafood,” Dr Loch explains. Water or seaweed samples can reveal information about contaminants at a certain point in time, but the dolphin’s teeth enables the researchers to look at what happened in past times. For example, Dr Loch will be fascinated to see whether there was any correlation to a reduction in pollution when leaded-fuel bans for road vehicles came into effect in New Zealand in 1996. Dr Loch and her colleagues from the University of Otago – Professor Warwick Duncan from the Faculty of Dentistry and Dr Michael Palin from the Department of Geology – are collaborating with Dr Karen Stockin from Massey University, Dr Cath Kemper from the South Australian Museum and Professor Mark Taylor from Macquarie University in Australia to compare metal exposure in dolphin teeth from supposedly low-polluted areas in New Zealand to a high metal exposure area in South Australia. The teeth are being provided from archival material from Massey University and the South Australian Museum. The bottlenose species have been specifically chosen because these animals do not migrate. Dr Loch expects that high concentrations of toxic metals in teeth will be correlated with increased industrial contamination, while decreased levels would be expected where there was improved environmental practices. As long-term exposure data for anthropogenic marine contaminants are lacking, this pilot study is a unique opportunity to understand historical coastal contamination to generate baseline datasets for New Zealand, benchmarked against known Australian high exposure data. If successful, the Otago researchers want to roll the research out on a larger scale and are applying for further funding to enable this to occur. They have received a small Toxicology grant from the University of Otago’s Division of Health Sciences to assist with the pilot project. Results are expected at the end of the year. To date, little use has been made of animal teeth as a model to study coastal contamination. Though Dr Loch is aware of studies being carried out in Europe with teeth of rats investigating contamination on the land. Originally a biologist, Dr Loch’s area of interest in the University of Otago’s Faculty of Dentistry is the structure and evolution of teeth in animals. Some of her colleagues call her “The Dolphin Dentist”, though because bottlenose dolphins have about 120 teeth in their mouth, she jokes she’s pleased they don’t actually have to go to a dentist.